Living a self-sustainable lifestyle does not mean you have to have 139,674, 987 acres somewhere in the middle of nowhere! Off-grid, self-sustainable living can happen no matter where we are. In fact, I believe that self-sufficient living has more to do with our mind-set rather than our surroundings. Let me explain what I mean here…Last winter, I spent the weekend at the home of a Missouri farmer. He and his wife spent countless hours that weekend giving me reasons as to why sustainable farming and off-grid living is a thing of the past. They were surrounded with 140 acres and not a lick of it produced a thing for them. 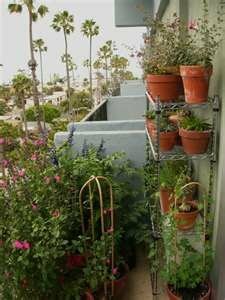 On the other side of the coin, I’ve met plenty of people who live sustainable, off-grid lives using what they have; and sometimes that means they only have a balcony or a 1/10 acre lot. The greatest obstacle our family has to being self-sustainable is money. Like many others, we have bills to pay and a land payment to make. Even when we are debt free, there will still be property taxes and general up-keep costs. Although the whole point of self-sufficiency has to do with a reduction in consumption, reality is we’ll always need some type of income. So how does one make money living an off-grid, self-sustainable life? This can be accomplished through a variety of means. Perhaps by turning off the TV, rethink those items that you now consider “necessities,” sell everything that you haven’t used in a year or more, and/or by downsizing your living space. By doing these few things, you will save yourself a ton of money in multiple areas (i.e. utility costs, heating, cleaning, cooling). 2. Eat from your garden and sell the rest – Utilize every square inch of your property for production. Focus on planting perennials that come back year after year and require little care (i.e. nuts, fruits, berries, etc.). Gather provisions for your family and sell the rest for profit. Consider joining a CSA as a producer or selling at a farmer’s market. 3. Raise and sell animals – Even in our small suburban lot, my daughters are raising heritage breed rabbits and selling them on craigslist and/or to local farm supply stores as pets. 4. Sell pastured eggs from your backyard hens – A super easy way to profit big time. There are farmers that are making thousands of dollars raising and selling pastured eggs. 5. Start a Farm School – This you can do with acreage or even in an urban/suburban setting. Open your home to teaching people the old ways of doing things. There has been a huge gap in knowledge. Wisdom that was once commonly passed down from generation to generation has in many ways been lost. People are eager for a rebirth of traditional know-how. Check this site for an example of what I’m talking about here. 6. Turn your crafty skills into a profitable business – Make candles, soaps, lotions, homemade/repurposed clothing. This list is endless and has everything to do with number 1…doing what you love. Etsy is a great way to get your stuff out there to a wide range of folks. 7. Write – Begin chronicling your interests. Use social media to your advantage (smile).Create a blog (Blogger, Word Press, Tumblr, etc.) Start a hubpage. Become a member of StumbleUpon. I promise, someone will find your thoughts valuable. 8. 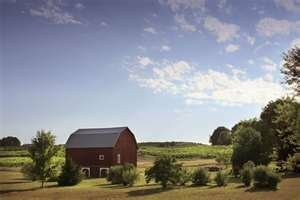 Farm Vacation Destination – If you are one of the fortunate ones to own a small or large farm, consider opening a portion of it up as a vacation destination! See this article in Urban Farm Magazine. Creating ways to decrease our consumption and increase production is the only method useful in moving toward independence. Self-sustainable living is all about reducing our dependence on someone else to supply our needs. Consider what it is that makes you come alive. Stop limiting yourself. Go for it! Share with us where are you in the journey? The article “How to Make Money Off-the-Grid” was used as a reference. I love this post! I am trying to become more self-sufficient so I can eventually quit my 3rd shift job. Your examples were great! It's all about your mindset about what you can do in the situation you are in. i have an account with Stumble Upon, but I don't understand how to use it. Any tips? We live in a subdivision with almost an acre of land. My topography has been a challenge. Lots of hills and slopes and a third of it woods but we're improvising a lot with vertical growing techniques, raised beds and edible landscaping ideas. We have the chickens, the compost heap and I just got done planting our fall veggies a few weeks ago. On just our little patch of flat land, we have 4 raised beds and little beds that we have dug all over the place. We use the garden fence as a giant trellis for sweet potatoes, beans, grape tomatoes, you name it. Right now we're growing potatoes, peas, carrots, radishes, lettuces, spinach, kale, turnips, brocolli, cabbage, cauliflower, garlic, shallots, peppers still going strong, collard greens, red onions, and we still have giant zucchini and scallopini squash plants producing. We planted some blackberry bushes and babied the wild ones we already have, apple trees, peach trees, blueberry bushes. Me and the kids study wild edibles so that we can add nature's bounty to the pantry. We still aren't at the point where we are providing all our own produce but I can see it not far off 🙂 I want more land sooo bad but right now we have to make do with what we have. It's like you said, it's all about the mindset. Your article was right on time. I'm trying to figure out a way to get some land and then generate some income off it while we provide for ourselves. Great ideas and right up my alley. I look forward to more great articles like this one. So glad I liked your page 2 days ago . Keep on keeping on and spreading the word. Thanks for all you do! Your woodland lot can be enriched with mushroom logs, berries of kinds, sweet chestnuts for eating as well as building wood, firewood growing, medicinal herbs and nuts. Bless you and your family. @Nichole As long as we keep learning and implementing we'll get there! Thanks for your post and inspiration! We are living on less than 2 acres in a city surrounded by subdivisions. We "farm" about 3/4 of an acre with mini dairy goats, chickens for meat and eggs, and a vegetable and fruit garden. I am a SAHM and it is a challenge to keep things going financially so these ideas are inspirational. I love your comment about the gap in knowledge about this kind of living. That's why I have gone back to my 80 year old friends (and some younger) to learn how to do things such as preserving food and sewing/crocheting etc. Another handy skill is pottery. It can be challenging but is very rewarding. Oh wow! Thank you so much for this wealth of information! My husband and I have a very small space in our back yard but you have given me hope that we too can do some self-sustainable living! You have my creative juices going! I am SO glad that I stopped by! Thank you for the tips, I love the one about raising rabbits, I bet my girls will love that! One other great think is of course to shop at farmer's markets. If there is something you can't grow your self, you can get it at a really good price there! This Saturday we got a whole bushel of pears for 10 bucks!! Great tips here, especially for those of us just starting out. Thanks! Love this post…so much wisdom. I have gleaned much. Thank you, thank you for sharing. Added you as a follower. I love the Farm School idea–I guess that's partially what blogging is all about–sharing our knowledge and skills–thanks for sharing yours! Great post! Thanks for sharing all of those ideas. I have some thinking to do! Great post, thank you for sharing at the Frugal Tuesday Tip. LOVE this post!! So many great ideas. Thanks for sharing. I will be bookmarking this for future reference. Nice post. We're on our way. Not growing much in the way of our own food yet, but we love our tiny house (live in an intentional community of caravans) and save so much money living this way! Which in the end translates into more time spent doing what we want instead of working for someone else. Here here! Love this post! Stopping by on the Tuesday Tip hop. I'm a new follower! This is a wonderful, encouraging article! Thank you! Great ideas! My family (myself, my husband, my brother, and our kids) all make tons of stuff. We started a small family business with handmade soaps and within the next few months, we will be adding all the other handmade products that we do. We are a crafty bunch. At the end of the month, we will be adding 8 Buff Orpingtons to our back yard! I love following your blog and I would love to have you try out some of our soaps and do a giveaway! I seriously just asked about this very thing today on a homestead FB page! I often wondered what people who lived far afield did for additional income. Thanks for providing some additional income tips in this post. I’ve been a business startup consultant for more than a decade, and have seen many people unable to start earning, because they went about it in the wrong order. One major issue is meeting the legalities for what they want to do. Make sure you check regulations for both Federal (USDA, FTC, FDA, etc) and State (Sales Tax, Dept of Ag, Health Dept, etc), and sometimes county or city before you dive in (zoning, health regs, business license, etc). Many farming enterprises have regulations once you go commercial. Eggs have regulations in most states, if edible eggs. Hatching eggs do not. Fresh foods may have regulations in your area. Raw milk is another with different regulatory requirements in each state. 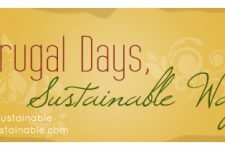 Some unusual crops also have regulations which would make them impossible to do – snails are one, shipping them across state lines is prohibitively difficult. Quail have strict import regulations in some states, and may require licensing to raise. Soaps, or any other cosmetic items, as well as herbal items have very demanding regulatory requirements now. Selling ANYTHING handmade for infants or children is also difficult, as you are required to provide certification of materials. Food produced on a regular basis requires a licensed facility in virtually all areas. Yes, people still sell this stuff without meeting the requirements, and get away with it, but the current administration is very likely to start a witch hunt at any moment, and you don’t want to be figuratively burned at the stake! The good news is that there are often exceptions for items sold direct from the farm (which includes Farmer’s Markets, and deliveries). In some states they may even have sales tax collection exemptions for this. Exceptions do NOT include shipping out of state – crossing state lines means you have to meet Federal requirements, and some Federal regs may apply even in-state, such as the regulations involving eggs, which require grading if you have more than 3000 hens (this includes ALL poultry, not just the ones producing eggs for sale). Checking regulations before you engage in money making can save you a lot of grief, and a lot of money. If you do the things with a lower regulatory burden to start, you can get going for less money, and there usually are things you can do, and ways to startup inexpensively when setting out to earn. HOW you do it is often just as important as WHAT you are doing. Great inspiration for those of us who do not (yet) have as much land as we would like. Hi. I just wanted to say that I like this blog entry, and I can add a couple other ideas to the mix. I HAD to figure out a way to earn a living, off-grid, because this off-grid house was the only place I had to live when my husband took off. So I needed an income, IMMEDIATELY. From scratch. I’m too remote to be able to commute anywhere to work, so I turned partly to my (solar and battery-powered) computer. I taught ESL online, and found some private students whom I teach via Skype. I also started work for Leapforce, which is aggravating in some respects but is not a scam. And, I’ve started writing content online, through Textbroker and WriterAccess. Textbroker doesn’t pay a living wage, but you can use it to build a portfolio and then use that portfolio to apply to WriterAccess. I respectfully disagree with Laura, above, about regulations. If you are up against it and you need money, you sell whatever good products you can get away with, for as long as you can get away with it. And there are NOT as many regulations enforced as she suggests. Selling fresh eggs – which I do, to neighbors from a stand by my driveway – is more like a savings account with a good interest rate than like a real income source. I have sold soap (zero regulations, by the way), dolls, cards, candles, various types of art. I’ve even sold worms online through ebay. Thank you for this post as a reminder self-sustainability can be wherever you live. I enjoy creating my own laundry detergent, building my own furniture which are done with materials good to myself and the environment, but I also like purchasing things at stores if it allows me the time to do other things I enjoy — so I’m both an urban self-sustainer and digital artisan. I don’t doubt these ideas. But because there are already so many people trying to do these things, you end up with more salesman than you do buyers. So its a fierce competition altogether. Better off just having a job that will pay the things that need paid and do as must as you can DIY to live. Good ideas. we are liviing in town temporarily. Our goal is to be outside of town and in a place we buy by Summer of 2014. My husband lost his job abd we are scrambling to find hi a new one. Things are looking up. I am working and once he starts we will bank one income. We rentr a home that has 3 xity lots in a small town. No chickens allowed. BUT! We have 14 raised beds filled with composted goat manure. We are growing several types of squash. 30 tomato plants, turnips, carrots, onions, garlic, brussel sprouts, beets, broccoli, rutabagas, lettuce, radishes, cukes, pickling cukes. I am up to my elbows in beets aqnd will be canning this week. Wish we could do more but this is a rental. Can not wait for the lttle cabin in the woods. The house we are living in is over 100yrs old. Fortunatley it is heated with a wood furnace. I have uch to learn and research in the next year. I love reading posts about living off the grid on the internet…..
i like this piece! i do write for a living. threw in my crocheting skills to earn extra. Spot on article. We are doing all but number 8 on out 0.2 acre lot. I teach and you would be surprised how many people want to learn homesteading skills. I would add that barter is a great way to reduce expenses. Rather than sell what you have overage, barter it for something you do need we barter fruit for meat. For every waste there is something that can be used, or made from it. Often people will pay you to take away their waste, then you can make it into something else, sell it etc. An example. Junk mail. We shred it, and feed to our worms, who make compost and compost tea. The worms can be sold, the tea can be sold, and the compost can be sold. Or, use it to make fire starters. Use it at litter box lining. Point is, take a waste and make it profitable for you. I love this! I feel that Self Sustainable Living is far more important than most people realize. If people are producing their own food, water and energy then they are free of the system and empowered to live the lives they desire. I’m currently on a mission to help as many people as possible become sustainable and to engage in community projects. I feel that if enough people do this then humanity can unite and we can create enough prosperity for everyone. My Husband and I recently moved to Pahrump, Nv from Las Vegas with the idea of self sustainability. I am now planning my first ever garden and am excited and a lil nervous. My hubby works 6-10 hrs a day locally so after my housework I have started making soaps, candles and massage oils planning on selling them at the local holiday craft fairs. Your article inspired me further and reaffirmed that our family is on the right path. Thank You!! !